Presented in this axis are the reality of Islamic education in South Asia, the challenges higher education institutions are faced with, and successes achieved by some of these institutions at Asian or even factual global level . This theme discusses the reality of Islamic studies in some Islamic societies, their experiences and challenges; to reach common and different trials in those challenges and obstacles. This theme relates Islamic Studies to the new world order, monitors some of the effects on each other, identifies the most important initial challenges of globalization on Islamic education, and development of future proposals to deal with those challenges. 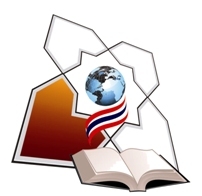 This theme discusses plans and successful educational experiences in Islamic world; what are reproducible in them in terms of development, amendment and update to fit the current reality of Thai, and present-day realities and requirements. This axis - in fact - is a workshop companion for the Conference, in which the participants analyze the most important findings in terms of information, expertise and experience with reference to the above listed axes, attempting - in the light of this to set vision, and make concrete plans for framing the policy of the CIS in its journey ahead.